June 17, 2014, 5:31 p.m.
By Justin Ellis @JustinNXT June 17, 2014, 5:31 p.m.
There’s inside baseball — and then there’s deep dives into the content management systems of America’s largest newspapers. Luke Vnenchak, director of content management systems at The New York Times, published a detailed walk through of the paper’s CMS today, giving an interesting glimpse at the technology responsible for publishing 700 articles, 600 images, 14 slideshows, and 50 videos on a daily basis. Unlike many commercial systems, Scoop does not render our website or provide community tools to our readers. Rather, it is a system for managing content and publishing data so that other applications can render the content across our platforms. This separation of functions gives development teams at The Times the freedom to build solutions on top of that data independently, allowing us to move faster than if Scoop was one monolithic system. For example, our commenting platform and recommendations engine integrate with Scoop but remain separate applications. Vnenchak’s post is a peek behind the curtain, but also a look forward at how they are trying to adapt Scoop to the future needs of the newsroom. If you squint, you can also see the outlines of the Times’ leaked innovation report, specifically in issues around investing in technology and the need to become a more digitally-minded operation. In the past, reporters wrote stories in a print-based system (CCI, which uses Microsoft Word as the editor), with articles sent later to the web system. Now writers can put stories directly into Scoop rather that write them up and have a producer mark them up for the web by adding multimedia, tags, links, and other material. Vnenchak says Scoop will be the primary CMS for both print and digital sides by next year. One thing that is always handy in newsrooms is a system for tracking the status of stories as they move from assigning and writing to editing. Beyond knowing the status of an article, Vnenchak said they want the system to track when stories run online and in print, and how a story is performing once it’s published. At the newsroom’s request, we have never integrated that data back into Scoop to help inform our editors on how to best reach our readers. That attitude is shifting in our organization, and we plan to explore new ways to display this type of information for our editors. When working with highly-sensitive material, our editors can mark an article as private and restrict access by user or group. This is a necessary requirement for an organization investigating the National Security Agency, for example, or publishing blockbuster op-eds by Vladimir Putin or Angelina Jolie. Another feature editors and reporters might like: notifications, which can be customized to send alerts for specific activity within Scoop. If someone writes an article on something you want to know about, or, when a writer or editor is done with a story, you can get an alert in email or through the CMS. Editing tools are also available for photos, which allow editors and produces to crop images to different sizes and aspect ratios for different screens or design needs. One thing that seems clear from Vnenchak’s post is that the Times wants to think more like a technology company, not just a news publisher. Specifically, they want to find ways to make Scoop robust enough to handle different styles of reporting and editing, but also allow space for new forms of storytelling. Scoop is designed around workflows where a reporter writes text, a copy editor writes a headline and summary, a photo editor selects the images and a producer puts it all together. This describes how most of our report is currently assembled, but we don’t think this is necessarily the model for the future. Scoop does not do a good job of accommodating writers who want to do all of those things themselves to tell a story. Nor is it a tool for a reporter who only wants to write and wants the simplest, most elegant interface possible to accomplish that task. Keeping articles up-to-date both in Scoop and our print system is problematic. To solve this, we are working on a project to allow our editors to copy-fit for print directly from Scoop. Once that is completed, all print content will be edited in Scoop, while page design will continue to take place in the print system. The NYTimes.com homepage and most of our section fronts are manually curated so that our readers can tell which stories our editors have deemed the most important throughout the day. This curation powers the sections of our apps and mobile site as well. The manner in which section fronts are “ranked” is tied to the desktop website’s layout, which means we then need to translate those layout decisions to our apps and mobile site where the layouts are different. With the majority of our traffic shifting to mobile devices, we want to give our editors the same level of control over the presentation of content in mobile that they have today on the web. One last note: As Vnenchak says, Scoop is about content management, not user-facing display. If you’re interested in how the Times handles that, you might want to check out this video of a talk given in November by frontend software architect Eitan Konigsburg, which details a lot about how the Times has worked to improve how quickly its site loads. 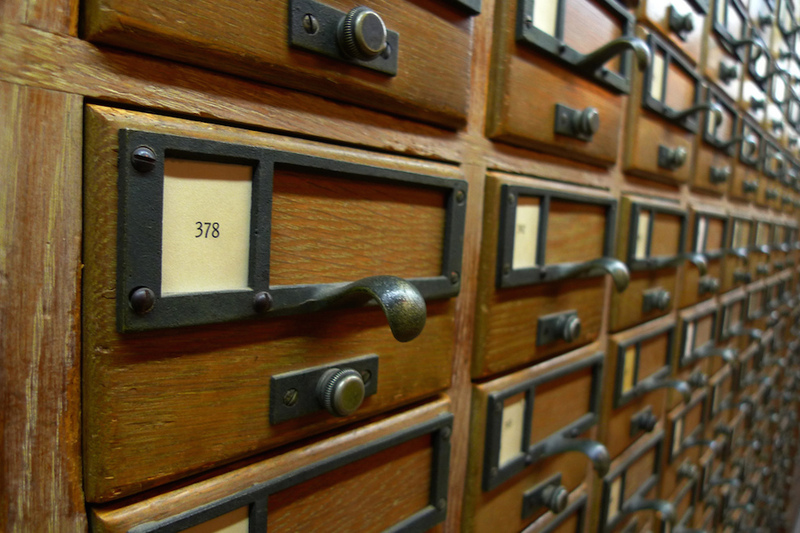 Photo of a card catalog by Franklin Heijnin used under a Creative Commons license. POSTED June 17, 2014, 5:31 p.m.
Ellis, Justin. 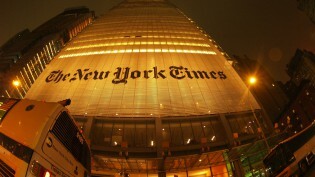 "Here’s the Scoop: Looking under the hood of The New York Times’ content management system." Nieman Journalism Lab. Nieman Foundation for Journalism at Harvard, 17 Jun. 2014. Web. 24 Apr. 2019. Ellis, Justin. "Here’s the Scoop: Looking under the hood of The New York Times’ content management system." Nieman Journalism Lab. Last modified June 17, 2014. Accessed April 24, 2019. https://www.niemanlab.org/2014/06/heres-the-scoop-looking-under-the-hood-of-the-new-york-times-content-management-system/.